In June 2017, MT Lab, an innovation hub dedicated to tourism, culture, and entertainment, will open its doors in Montreal’s Innovation District. Supported by the School of Management (UQAM ESG), the City of Montreal and Tourisme Montréal, it is the first of its kind in North America. It will act as a startup incubator – and welcome its very first cohort next June – as a coworking space and a host of events and conferences. It will hold a private demo day where the startups will present their current projects to key partners. In order to present its approach, MT Lab held an info session in the form of ‘reverse pitch’. 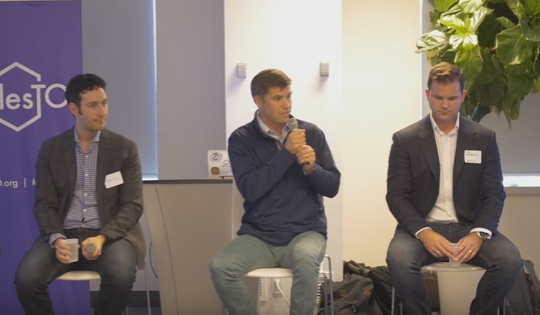 “A reverse pitch is the idea of ​​not talking about a solution, which startups usually do. I try to get our partners to talk about their issues,” said Martin Lessard, CEO of MT Lab. One of the problems posed by Tourisme Montréal was the issue of tracking tourists; while people visiting a city for a conference would book a series of room in the hotel in the past, the rise of Airbnb makes it difficult to know who goes in and out of the city, and where they’re from. The project began during winter 2015. 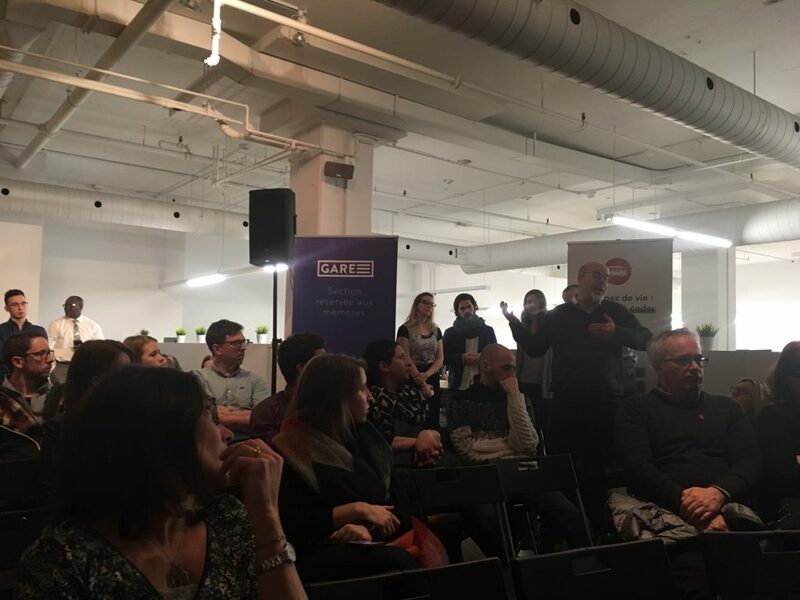 “This is when we took part in a trade mission organized by Tourisme Montréal and the Chamber of Commerce in Paris,” said Guy-Joffroy Lord, director of business intelligence at Tourisme Montréal. Indeed, inspired by the French model, they were influenced by the structure of the Welcome City Lab of Paris in order to develop the program that is now emerging. The startups that pass through the MT Lab will also have the opportunity to do an exchange with the City of Light. “What really stood out to us, which is a fundamental distinction — beyond the fact that it is a vertical incubator therefore on tourism, culture, and entertainment — it’s the double mission,” Lord continues. Welcome City’s double mission takes shape in the promotion of entrepreneurship in the field of tourism, but also in stimulating innovation in this industry. “This is where the relationship between big players in the industry and startups makes sense,” he says. The startups will thus have access to real potential customers, and their interaction between them is meant to generate a lot of exchanges and beneficial alliances. “The quality of the relationship, mentoring, followup, and support will ensure that you go out a year later with a project that is going to be better, that will be profitable, and will have an international marketing potential,” said Paul Arsenault of the UQAM Transat Chair in Tourism, a partner with of MT Lab. Without investing money in startups, the MT Lab will give them access to all kinds of specialists. They will also be able to be “adopted” by chairs and research centres in order to be in line with the ecosystem. “Through our member associations we have the capacity to reach a network of 13,000 tourism companies in all regions and sectors in Quebec,” adds François-Gilbert Chevrier, senior vice-president of development and partnerships of Alliance touristique, the organization that oversees tourism in Quebec. Large companies also benefit from collaboration with startups. 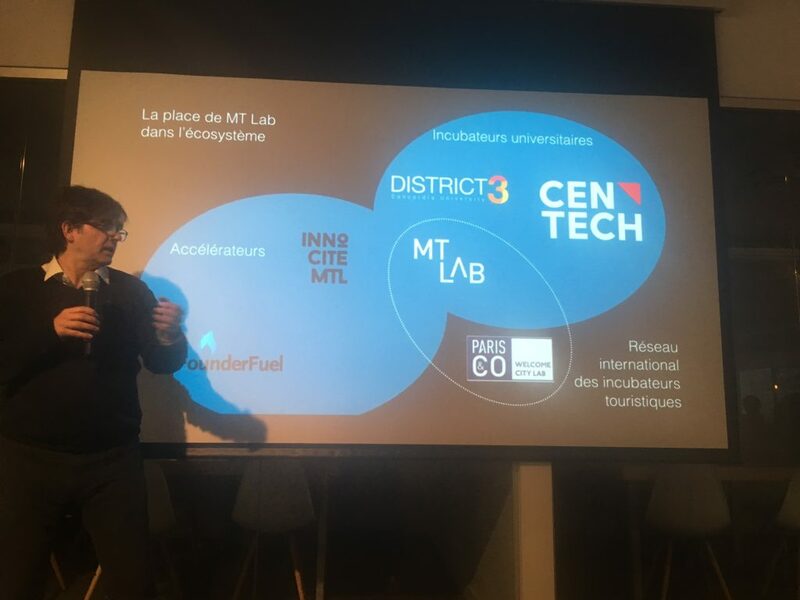 “We hope that MT Lab will help us to become more flexible by frequenting them,” said Suzie Dumont, Loto-Québec’s strategy, innovation and branding specialist.